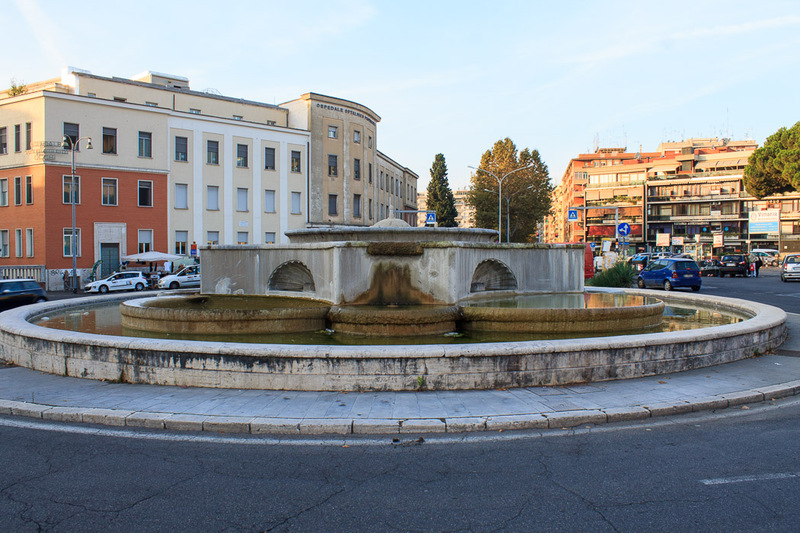 The Fountain in Piazzale degli Eroi was built in 1949, when a new aqueduct, the Aqueduct of Peschiera, one of the largest in Europe at the time, was completed. The fountain was the terminating point of the aqueduct, reflecting the tradition of the past when a new aqueduct was celebrated with a fountain at its terminus. When I visited the fountain in October of 2014, it was dry, apparently either broken or undergoing repairs or renovation. There was supposed to be a set of tall central jets to drive the water flow in the fountain. See all Fountain in Piazzale degli Eroi photos.